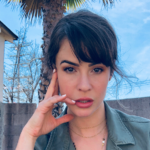 The Bold and the Beautiful spoilers tease that there’s a new mystery waiting to be cracked: the real identity of Flo Fulton’s biological father. And Apparently, both Wyatt and Quinn are willing to help Flo find her real dad. But is this something that Flo really wants to do? And if and when she does find out about her real dad, how will she react to the news? That’s what fans are wondering. Here’s what you need to know. During the most recent episode of The Bold and the Beautiful, Quinn pressed Flo to find out more information about her father. And while Quinn’s remarks about Flo’s father has stirred a lot of curiosity, the paternity possibilities could open up a terrible can of worms. Of course, fans will have to tune in during the next several weeks for more clues! The Bold and the Beautiful airs weekdays on the CBS network. Check your local listings for times. In the meantime, drop us a line with your thoughts in our comments section below.